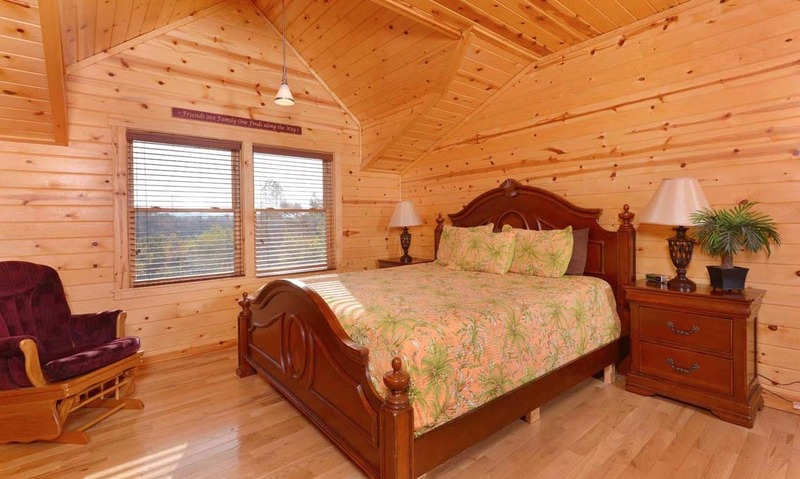 Applewood Manor is a stunning small group cabin with mountain views, impressive amenities, and close driving distance to downtown Pigeon Forge. 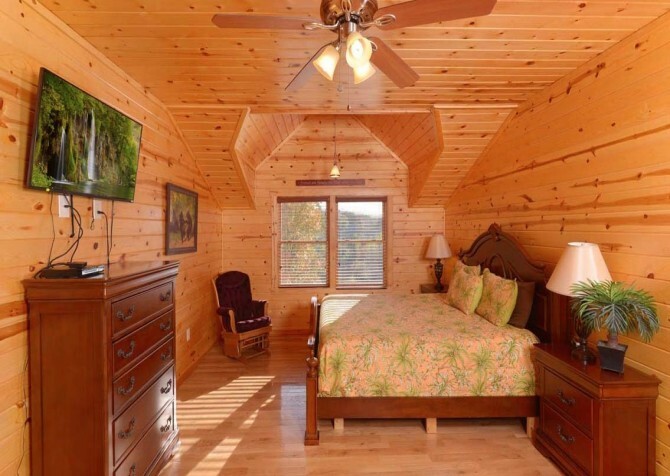 Before you even step inside, you’ll be wowed by Applewood Manor’s beautiful façade, which includes multiple covered porches, a complementary stone-and-wood exterior, and an A-frame peak filled in by several large windows. 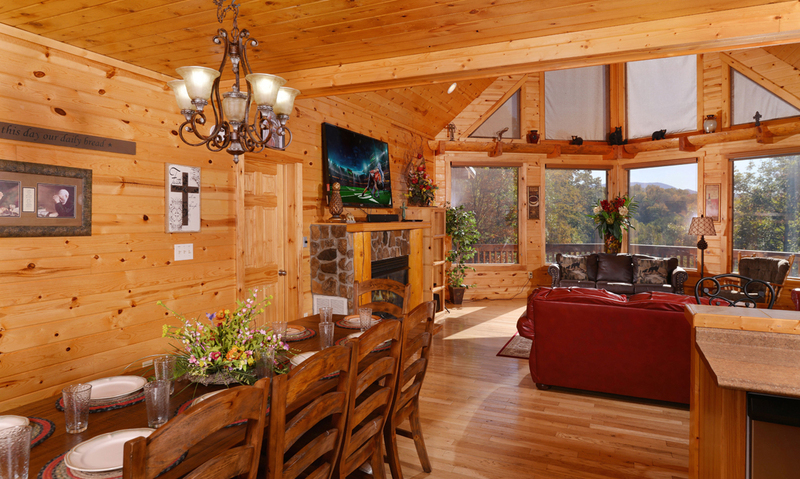 As you step inside Applewood Manor, the natural light of the Smokies floods the interior, offering mountain views right from the comfort of your living room. 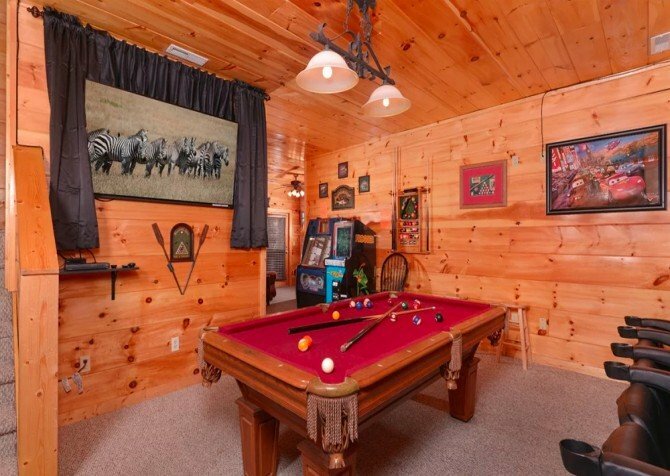 When it comes to entertainment, you’ll enjoy a rec room with game tables and an arcade system, a big screen TV and DVD player, and—best of all—a private indoor pool room that looks fresh off the pages of a magazine! Applewood Manor also offers an indoor hot tub and comfortable outdoor spaces, including a separate picnic area with a gas grill. 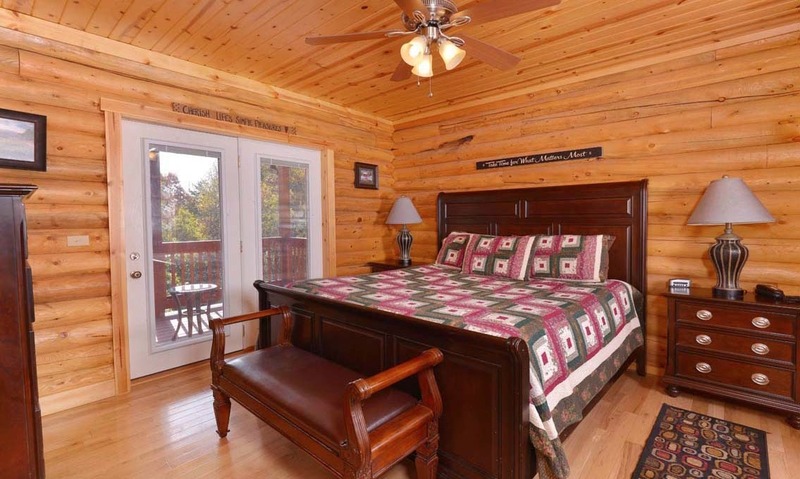 With 4 bedrooms and 5 bathrooms, Applewood Manor is designed to accommodate 12 guests, making it an easy choice for family get-togethers and small group vacations. 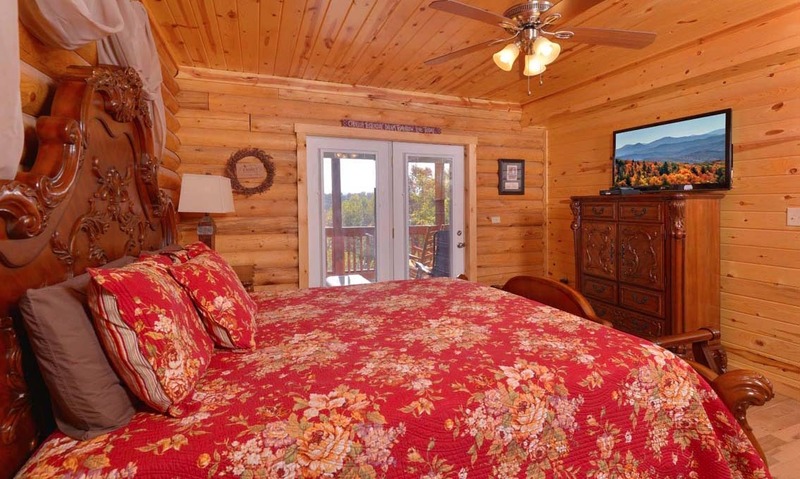 This lovely Pigeon Forge cabin has everything you need for a relaxing and fun-filled getaway—and all with less than a 3-mile drive to downtown! 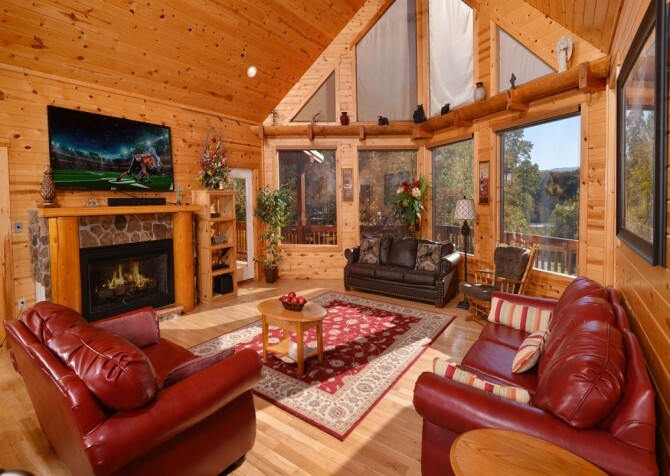 The A-frame peak of Applewood Manor is the gorgeous focal point of this cabin’s living room. 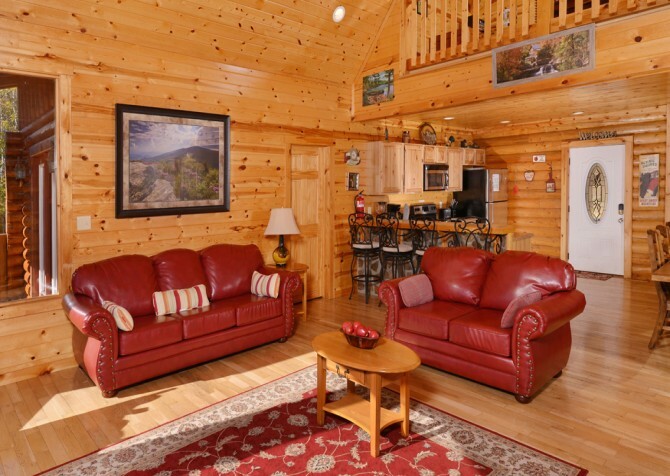 The large windows filling out the peak flood this space with natural light and mountain views, providing a beautiful place to relax after exploring the outdoor activities of nearby Pigeon Forge. Take a seat on the large sectional, and watch the nightly news on the big screen TV mounted above the fireplace. You’ll also find a full-size leather sofa nestled between two windows. This is the perfect spot to kick back with your tablet and read about the newest Pigeon Forge attractions on our Cabins for YOU blog—thanks to Applewood Manor’s free wireless internet! If you’re using the living room for a gift exchange during the holidays or a family game night on a cool wintry evening, turn on the gas fireplace and let its cozy warmth fill the room. 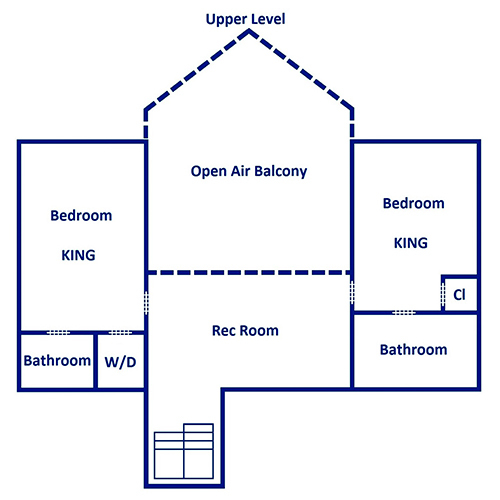 You’ll love being able to fit your entire 12-person group in this large, open space. Save your small group time and money by taking advantage of all that Applewood Manor has to offer—including a full-size, fully equipped kitchen! You can store cold drinks and breakfast essentials like eggs, refrigerated biscuit dough, and milk in the stainless steel fridge. You can prepare a pot of soup for lunch on the electric stove. Reheat your leftovers or pop some popcorn for movie night using the over-the-range microwave. And Apple Manor makes cleanup a breeze with its double sink and dishwasher. 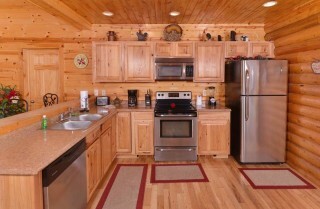 Other countertop appliances supplied by this cabin include a coffeemaker, blender, electric can opener, and toaster. Simply stop by a local grocery store and make the most of your Pigeon Forge stay! 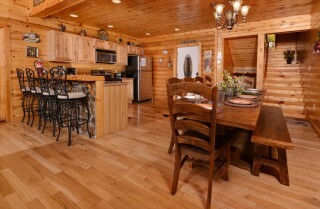 Dining in the cabin is convenient and comfortable inside Applewood Manor with its 6-piece dining table and 3-piece breakfast bar. You can also take advantage of this cabin’s open-concept layout and take your dinner plate to a comfy spot in the living room. Whether you spread out or stay together, Applewood Manor provides a cozy dining space where you’re invited to slow down and savor a homemade meal with the people you love most. Moving from the main floor to the upstairs loft, it’s time to have some fun in the Applewood Manor rec room! Send the kids upstairs to play a game of pool or a round of foosball. 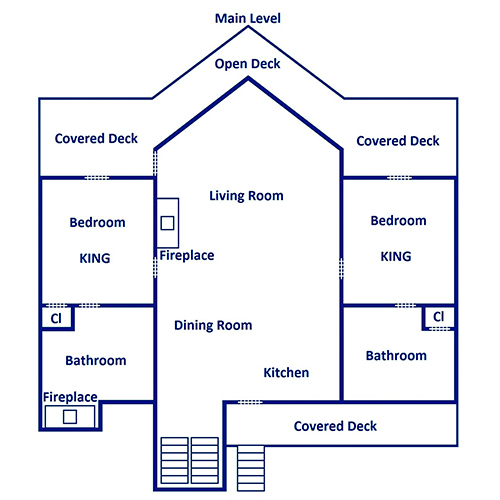 Or use this space as a separate hangout for the guys. The upstairs loft comes equipped with both game tables and a private arcade system in the corner, providing hours of fun without leaving the cabin! For even more fun while you’re in town, visit nearby attractions like Pigeon Forge’s The Track. With kid-friendly rides, go karts, mini golf, and so much more, this all-in-one amusement center is a must-see during your Smoky Mountain stay! While other Pigeon Forge cabins and hotels might offer private indoor pools, not many will offer a pool like the one at Applewood Manor! Natural stone walls and columns, gorgeous tile floors, large windows, and decorative patio furniture all create a beautiful indoor escape in this cabin’s private pool room. You can go for a swim or enjoy pleasant conversation on a padded chair in front of the bay window. 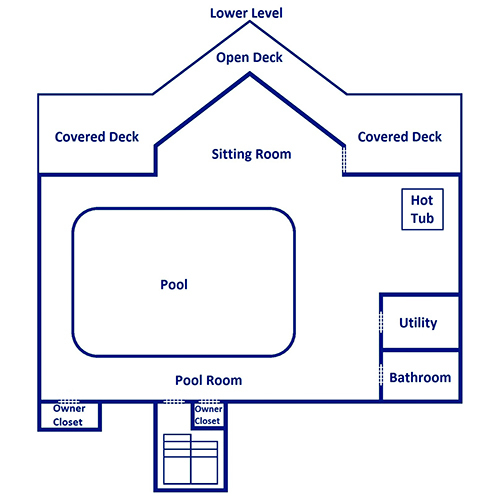 You can also switch between a dip in the indoor pool and a soothing soak in the Applewood Manor indoor hot tub. 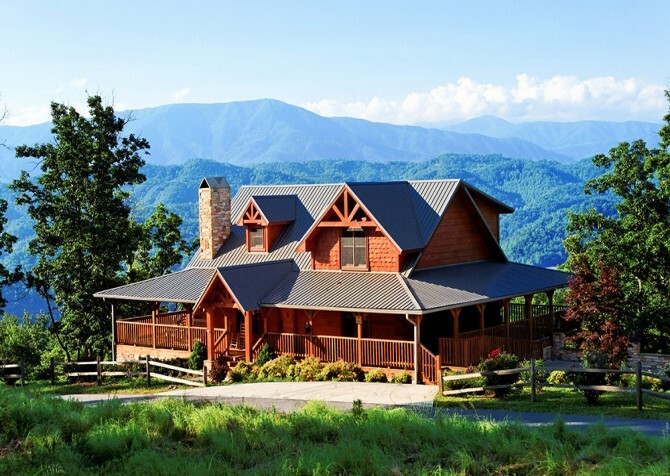 These amenities are the perfect ways to get some exercise, have private group fun, and soothe sore muscles after hiking in the Smoky Mountains or ice skating in Gatlinburg. To comfortably accommodate your 12-person group in Pigeon Forge, Applewood Manor offers 4 bedrooms and 5 bathrooms inside its 4,000-square-foot interior. All 4 bedrooms offer king-size beds, traditional wood furnishings, and individual TVs. You’ll also find private TVs inside each bedroom and additional queen-size sleepers (2) in the living room. 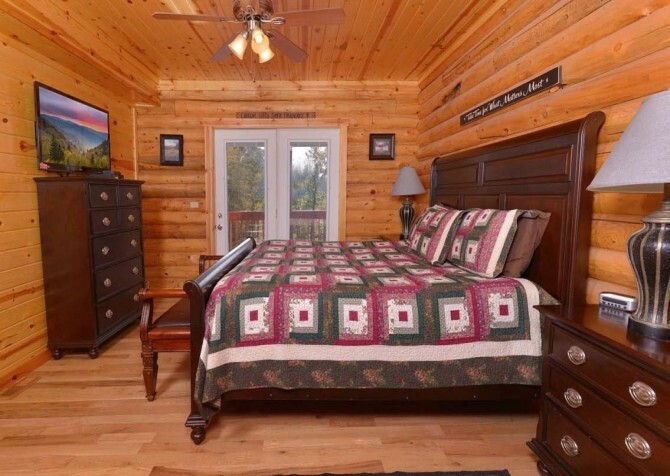 Book this cabin for a multiple family vacation, a couples’ getaway, or a small group retreat with friends. 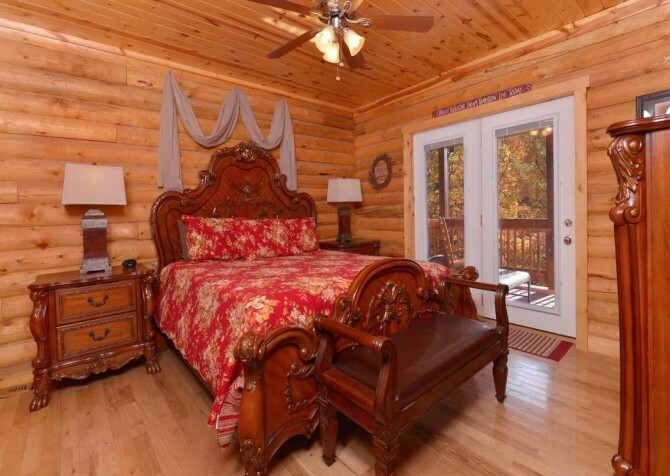 Applewood Manor has all the space and comforting accommodations you’re looking for in a Pigeon Forge retreat. At Applewood Manor, there are several places to enjoy this cabin’s tree-studded views of the Smoky Mountains. 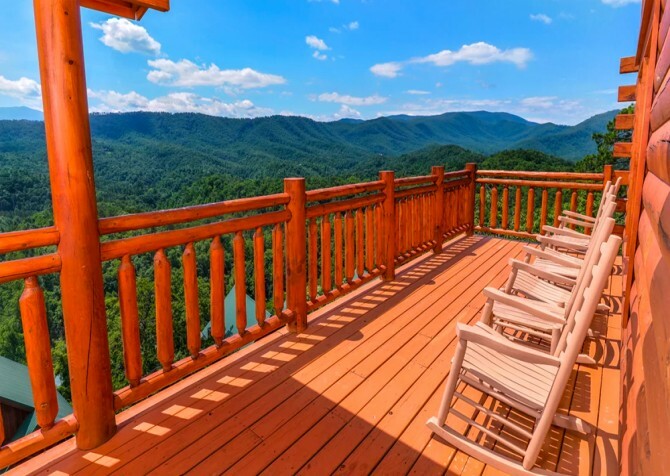 Grab a cup of coffee or a glass of locally made, award-winning wine from the Mountain Valley Winery, and rock on one of many covered porches offered by this cabin. Or sit back in one of its relaxing lounge chairs. You’ll also have access to a separate (covered) picnic area with a gas grill. Plan for family barbecues and outdoor picnics when the weather is just right and you’re craving some fresh mountain air! Applewood Manor’s long list of amenities continues with these entertaining additions: a CD player, VCR, and DVD player. This cabin also offers access to an outdoor charcoal grill along with the gas grill. For relaxation and comfort, enjoy multiple garden tubs, including one that’s nestled beside a beautiful, stone fireplace. Finally, Applewood Manor provides convenient amenities like a washer/dryer and a paved (though steep) driveway. Kids (and kids at heart!) will love an afternoon of racing around the wooden go-kart track at this family-friendly fun park in Pigeon Forge. Work together as a group to solve puzzles and hopefully Escape! You’ll find this interactive game for ages 12 and up at Pigeon Forge’s The Island. Come for a delicious dinner and comically good time that will have you scratching your chin as you try to solve the mystery! "Rented the Cabin for a girls weekend. Cabin was just as the website advertised. Everything was clean and working. Pool and hot tub worked great. Pleasantly surprised to find the Cabin decorated for Christmas. This is an annual event and we are considering coming back…"
"Rented the Cabin for a girls weekend. 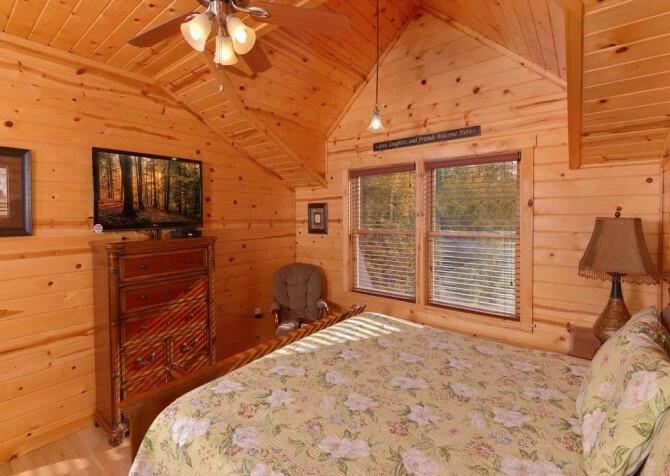 Cabin was just as the website advertised. Everything was clean and working. Pool and hot tub worked great. 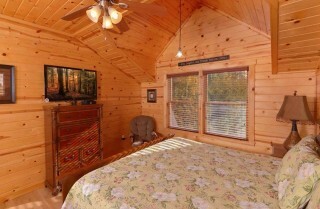 Pleasantly surprised to find the Cabin decorated for Christmas. This is an annual event and we are considering coming back to this cabin again next year." We are super happy to hear about your awesome girls weekend at Applewood Manor - splashing in the pool, hanging out in the hot tub, and celebrating the holidays! We look forward to serving you with an even more memorable cabin stay next year.
" Amazing location with even better hosts! We had a pool cover malfunction and they came out within 2hrs to ensure it was fixed on our last night there so we could enjoy! Great service! Great place!!! I really appreciated your quick attention to trash pick up and pool when we needed it! Y’all were great! " 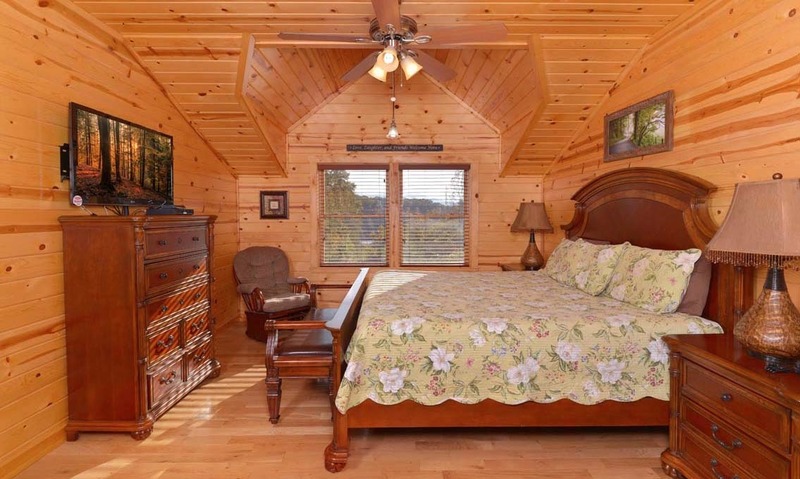 "I had a prior bad experience with Cabins for You several years ago BUT I can honestly say I’m absolutely glad I gave them a second chance. This trip was absolutely amazing! The cabin was well cleaned and prepared for our stay of 8 people and the cabin was remarkable. It was so much fun and it was hard to get people to leave the cabin each day. The bonus was I called to ask about checking out later than the designated time and they said it was no problem.. they would update our reservation and the housekeeping team. Glad I gave them the opportunity to earn my business again!"